Age 14+, under 18s with an adult. No DSLR’s or selfie sticks. Please bring photo ID. 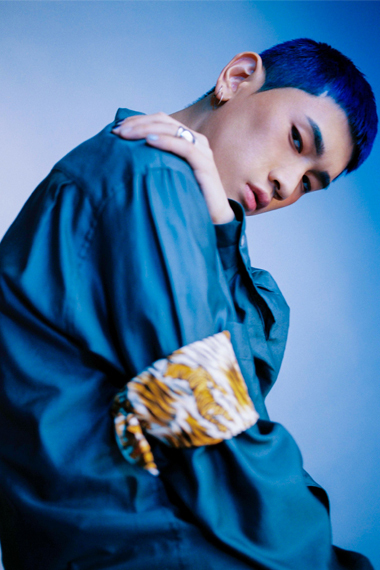 We are proud to announce the reigning #1 chart-topping Korean hip hop and R&B artist Crush in London. Shin Hyo-seob, better known by his stage name Crush, has an unstoppable catalogue of megahits including “Cereal” featuring Zico, “Beautiful” an OST for blockbuster Korean drama series ‘Goblin’, and “Don’t Forget” featuring Taeyeon of Girl’s Generation just to name a few. As an active member of Fanxychild with Zico, Dean, Penomeco and Millic, Crush has made collaborative tracks including “Bermuda Triangle” by Zico, and “Paradise” by Millic. Crush has also featured in the banger “Shutdown” by SIK-K produced by GroovyRoom (both of Jay Park’s label H1ghr Music). On deck duties is Millic, an incredible DJ and producer whose incredible chemistry with his Fanxychild crewmate Crush on stage is a sight to behold. Millic will be spinning the night as you experience the most soulful, trendy, and on-point artist of Korean music today in the artist Crush.